Finding a great deal on a Hard Rubber Mouth Pelham Bit with 4 1/2'' Cheeks can be difficult. But do not worry as we have a vast selection of Pelham Bits that are not just made of superb quality but also affordable. This bit has flexible rubber and the mullen spreads pressure on mouth. This bit is also made of stainless steel and measures 4 1/2'' in the cheeks. 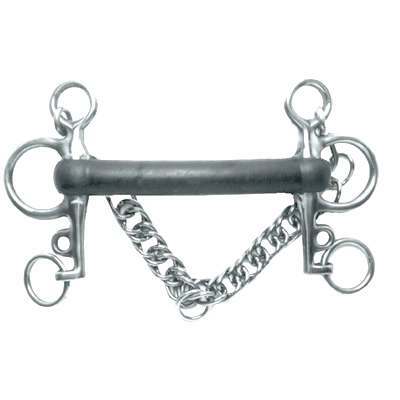 As horse enthusiasts ourselves our number one priority is to offer our customers Horse Pelham Bits which we believe are made to last and available at affordable prices.